Ms. Jess Robic transferred from the University of Pittsburgh to the University of Virginia in 2010 and graduated with a B.S. in Biology in 2012. As an undergraduate, she began working as a Research Assistant at the Clinical Research Unit where she helped nurses and clinical research study teams from the University process study participants. In 2014, Jess started as a Clinical Research Coordinator for the Center for Research in Reproduction and was involved in managing its PCOS clinical trials. 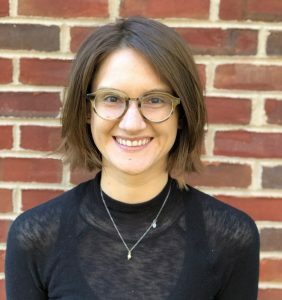 Jess joined the Center for Diabetes Technology in early 2015 and is excited to bring her experience in the lab and as a coordinator to the Artificial Pancreas trials. Outside of the office, you’ll find Jess romping with her boxer, Mojo, and enjoying the live music scene of Charlottesville. Wahoowa!